Prime Minister Justin Trudeau says he has no plans to resurrect the Liberal campaign promise of electoral reform unless the other political parties agree to a system other than proportional representation. Reforming Canada's electoral system was a foundational pillar of the Liberals' campaign platform in 2015, with Trudeau promising that election would be the last conducted under the first-past-the-post system. The government struck a parliamentary committee, conducted town hall meetings and sent out a national survey on the issue. And then, one year ago, Trudeau sent a mandate letter to the new minister of democratic institutions informing her that electoral reform would not be one of her directives. Trudeau said no clear choice had emerged for an alternative system of voting — and he didn't want to see Canada adopt proportional representation for the sake of change. 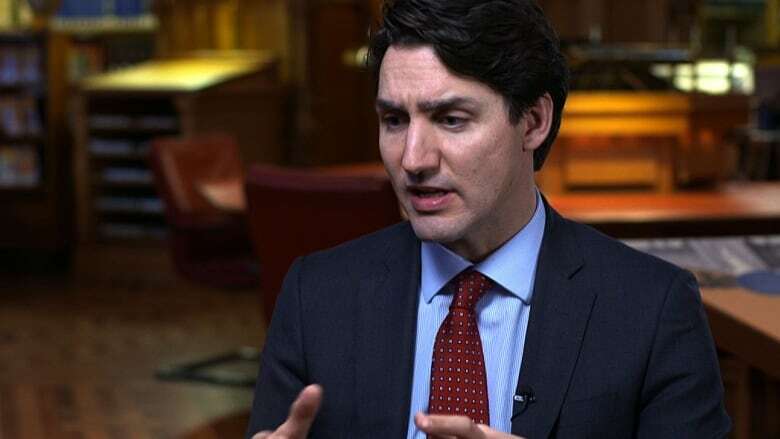 In an interview this week with CBC Radio's The House, Trudeau said proportional representation would divide Canadians as it would "exacerbate small differences in the electorate." The 2017 decision was lambasted by politicians and Canadians alike, with opposition MPs labelling it a betrayal. Trudeau's decision was "one of the most cynical displays of self-serving politics this government has yet to engage in," said Nathan Cullen, the NDP's democratic reform critic, at the time. One year later, Trudeau still stands firm that dropping electoral reform from his government's to-do list was in the best interest of the country. "Nobody supporting proportional representation was able to convince me it would be good for Canada," he said. "I came to very clearly believe that a form of proportional representation would be harmful to Canada." Trudeau maintained that reform wouldn't be revived under his first mandate. But whether electoral change in another form makes a comeback in 2019 is up to Canadians, he said, and the other political parties. "I will not move towards any form of proportional representation, but if people want to talk about a different system that might benefit Canadians, like a preferential ballot, I'd be open to that," he said. His comments were unsurprising to Green Party Leader Elizabeth May, who was on the parliamentary committee on electoral reform. "I don't think the candidate Justin Trudeau when he made the promise had done his homework first, and I don't think the Prime Minister Justin Trudeau had done his homework when he broke the promise," she said Wednesday. May expressed her frustration that the parliamentary committee has been putting new ideas on reform to the prime minister for months with no results. She stands by the recommendation of the committee to have a referendum, she added, and let Canadians decide which voting system they want. The broken promise needs to be put in the past, she said, and attention should shift to a concrete plan for putting a new system in place for 2023. However, she's still stung by Trudeau's most recent comments. "This was a giant betrayal and it breaks my heart." While she remained optimistic there is a way forward, other members of the parliamentary committee said Trudeau's willingness to revisit the issue is hollow. "He was never sincere about considering proportional representation," said Conservative Scott Reid, adding it was evident Trudeau had his "mind made up all along." Ignoring the voices of Canadians is a slippery slope, Cullen cautioned in response to the prime minister's latest comments. "I was stunned. There's a tone of arrogance in there," he said. "He's entitled to his opinion but not his own facts, because the facts were clear." Both Cullen and Reid agreed with May that a referendum would send a clear message from Canadians to Parliament Hill. "Whether [electoral reform] would be harmful or not surely is better answered by Canadians themselves in a referendum," Reid said. While Trudeau said he was open to feedback, he emphasized the topic wouldn't be looked at until after the next election.